IAF New York City is open to all IAF members within the New York metro/tri-state area (i.e. we welcome those who commute or find themselves in the city from Connecticut, New Jersey or upstate New York). The group meets every two months (with a summer break from June to August) at venues in and around Manhattan. 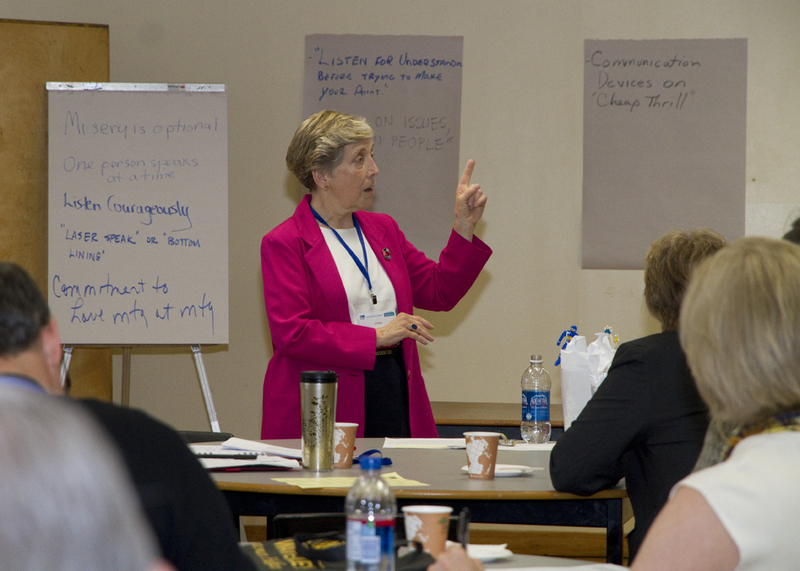 We usually feature a professional development activity, followed by networking among fellow facilitators. The chapter was approved by the IAF Board of Directors in 2013, as described in its Guiding Charter. We keep our governance simple: a "Chapter Steward" is designated each year to oversee basic coordination of the group. This person acts as a focal point for members and a liaison with the IAF's Regional Director for the United States. Member's annual dues to the Association at the global level maintain their membership in the New York City Chapter. The Chapter does not accrue any resources, financially or otherwise. The IAF New York City Chapter uses Meetup to post events, keep track of RSVPs, exchange local facilitation news, share job postings and make other announcements. You can request to join the group by visitng here. You can also follow us on Twitter. Linda Mather, one of the original members of the New York City chapter. 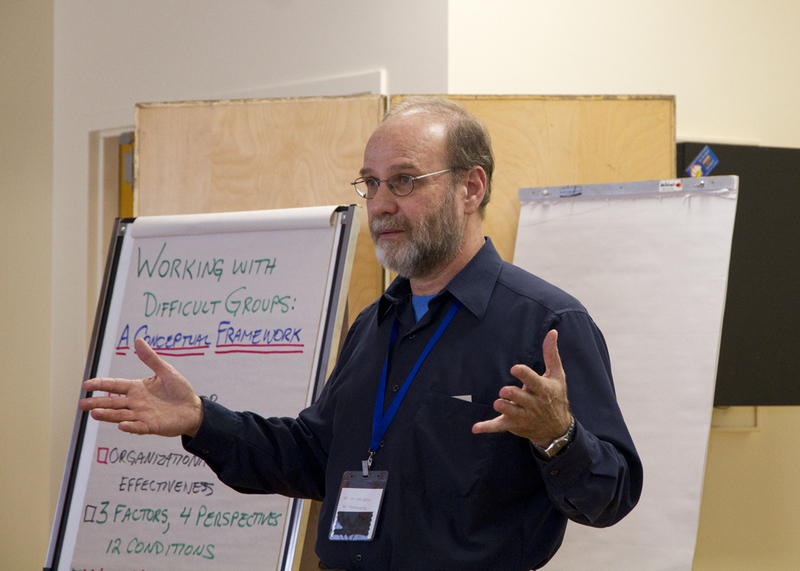 Sandor Schuman presents working with difficult groups, November 2013.